This entry is part 1 of 3 in the series World's Best Small Towns. One of the things we love about Slow Travel is the ability to discover small towns and villages between larger more popular destinations. We often learn more about a country’s culture and people in these off-the-beaten-path destinations, and it’s one of the main reasons we believe everywhere is somewhere. We’ve written about many of our favourite small towns in Europe over the years, from Durbuy, in Wallonia and Hoeilaart, in Flanders, Belgium to our favourite villages in France and even the tiny white villages of Andalucía, Spain. But there are always new locations to discover, and we wanted to find even more fascinating small towns few tourists know about. Hebden Bridge in West Yorkshire, England is the quaint, little piece of quintessential English-ness countless travellers to my little country have unsuccessfully sought to find in the Cotswold villages and Glastonbury Tors. 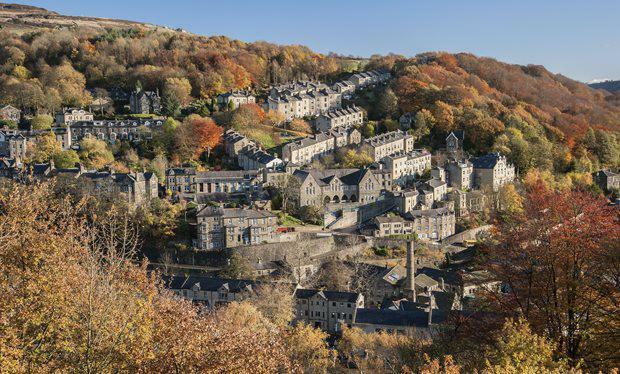 Nestled in the spectacular Calder Valley, the mill town of Hebden Bridge blooms in spring, broods beautifully in autumn yet offers a warm welcome all year round. Hebden was saved from demolition in the 1960’s by Hippie settlers who rediscovered and rebuilt the crumbling town. Their legacy lives on, and today the town is the counter-culture capital of the North with boho boutiques, meditation mornings and yoga classes at every turn. There are excellent dining and drinking options, and the Trades Club attracts up and coming artists as well as musical legends. The unchanged hamlet of Heptonstall can also be reached by a short, steep walk up into the hills and is not to be missed. Hebden Bridge can be reached by car via the M62 (Manchester) Motorway by following the signs for Halifax. By rail, trains arrive at the vintage looking station from either Leeds or Manchester (about 45 minutes from either city). Kirkwall is the largest town on the Orkney Islands, Scotland and it is one of those hidden gems the world is keeping secret. Kirkwall can be traced back to Norse times in the 11th-century and it still holds this magnificent charm. Saint Magnus Cathedral and the Earl’s Palace loom over the boutique shops that draw people into the centre of the town. Climbing to the top of the Cathedral allows you to see the entire town and beyond to the ancient ruins. With the famous Scapa Flow from World War One and Two being just down the road; there is history at your fingertips (I highly recommend scuba diving between the blocker ships). There is a multitude of archaeological sites from Vikings to the Bronze Age just a stone’s throw away. 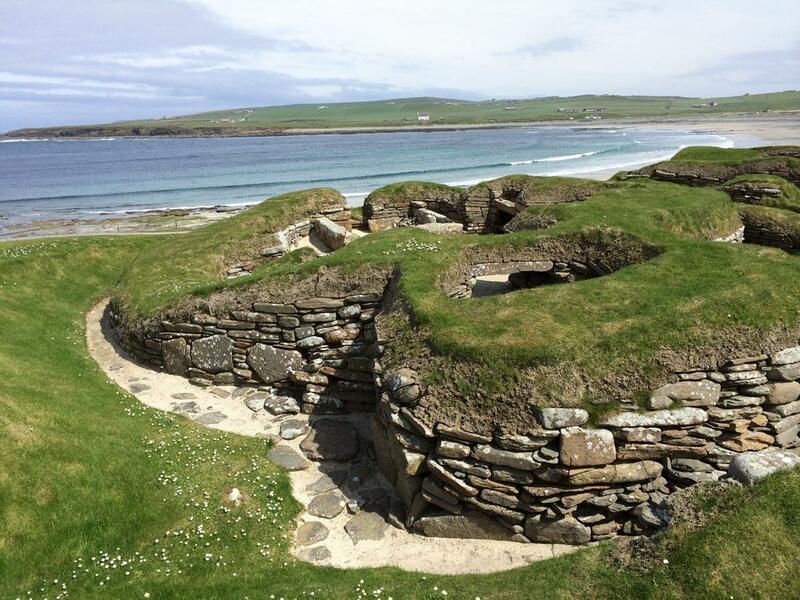 Think of exploring places like the famous Skara Brae, Maeshowe (check out Viking graffiti on the walls) and the Ring of Brodger. Just thinking of these sites makes me want to go back and explore; the history is just mind blowing. My love for Castellane was instant! The town is dominated by a towering limestone rock which dominates the entire landscape, and it was the first thing to draw my eyes. Located in the Haute-Provence region of France, Castellane is a charming village in its own right, but it’s known especially for adventure activities such as whitewater rafting, kayaking, gliding and hiking. 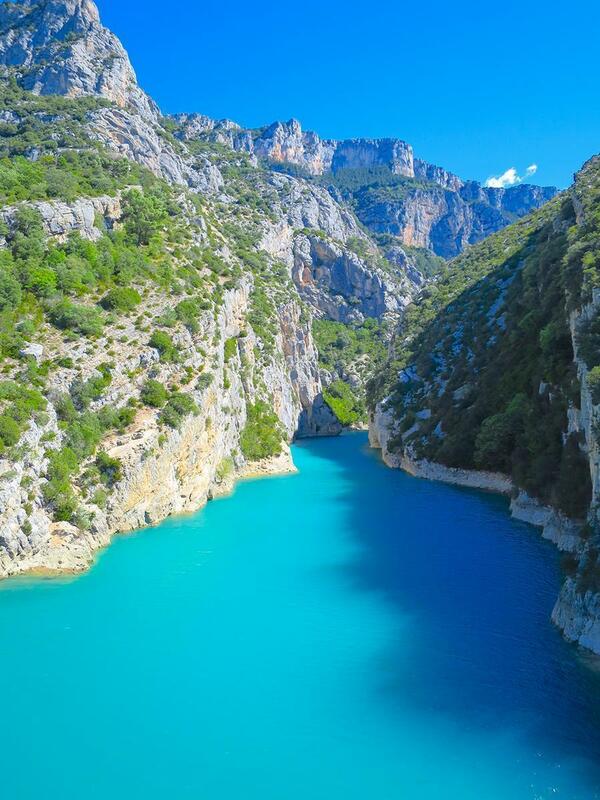 It is also the gateway to the Gorges du Verdon, a river canyon that boasts cliff drops of up to 700m and stunning aquamarine water. Castellane and the Gorges du Verdon are easiest to visit with your own transportation. We drove through this area in a motorhome and were joined by many cars and motorbikes who are keen to ride the narrow, twisting roads. Buses can be taken from Nice and Marseille in the south of France, but they are irregular at best. The area between Castellane and Moustiers Saint Marie is considered to be one of Europe’s most stunning gorges, and for this reason, alone, it is worthy of putting on your itinerary. One of our favourite small towns is Marciac, France. This often-overlooked town is located in the Gers department of southwestern France. Marciac has a population of about 1,350 during most of the year. 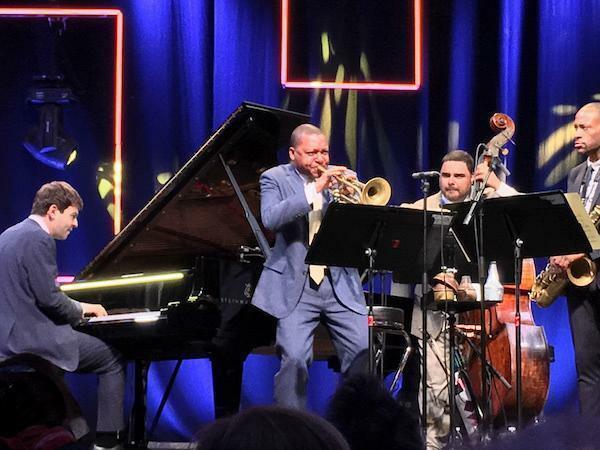 At one special time of year, however, the tiny community is flooded with some 250,000 visitors who have come to experience one of the world’s greatest music festivals Jazz in Marciac, a glorious tradition celebrating its 40-year anniversary in 2017. It’s no secret that the French love American Jazz. It might be news that Marciac is home to some delicious food and wine experiences. Locally sourced cuisine at highly-rated, quaint restaurants make this tiny town worth a visit. You must also discover the oldest wine produced in France. Armagnac unique to the region is something special to be savoured, sipped, and enjoyed. Whether you’re strolling the streets and wandering through unique shops, galleries or visiting the Jazz Museum it all makes for a relaxing and entertaining visit. Located in the Charente-Maritime department of France, Saintes is a short drive inland from the popular beach resort of Royan on the Atlantic coast. 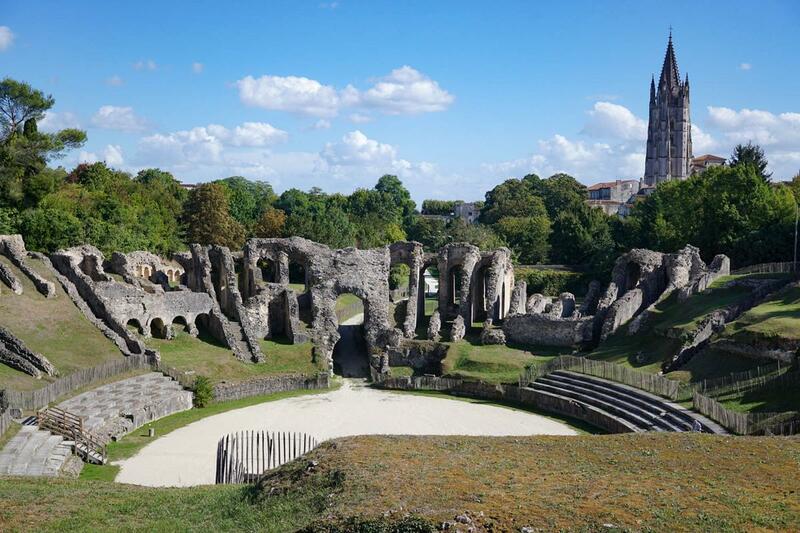 Venture through a bucolic landscape of vineyards and sunflower fields to find this charming Gallo-Roman town built on the banks of the Charente River. A town rich in culture and history, Saintes manages to preserve its heritage while punching above its weight with festivals and events showcasing the arts. It’s not hard to see why both the locals and visitors love it here. Foodies are well catered for with boutiques, restaurants, and daily markets offering up delicacies such as the world-famous Marennes-Oléron oysters, fresh organic produce, and locally crafted wine and cognac. History buffs can play gladiator in a Roman amphitheatre, marvel at the 2000-year-old Arc de Germanicus, and discover a 6th-century crypt all in an afternoon. Nature lovers will be in their element strolling in the manicured public gardens, cycling through the unique natural environment that is la Palu (a protected prairie right in the heart of the town) or simply basking in the famed Charente-Maritime sunshine! In Provence, France, between Apt and Sault, sits the quaint hilltop village of Saint-Saturnin-lès-Apt. Narrow streets and alleyways make Saint-Sat easy to walk around. The spire of the Church of Saint-Etienne towers above the houses and can be seen from far away. Beautiful fountains are scattered throughout the village while decorative doors and intricately carved wood doorways adorn the homes. A hike to the village’s highest point leads to the ruins of a castle and Romanesque chapel (built circa 1050), which overlook the village and the Luberon Valley beyond. Remnants of two 17th-century “moulins” (windmills) can be found next to the lake. 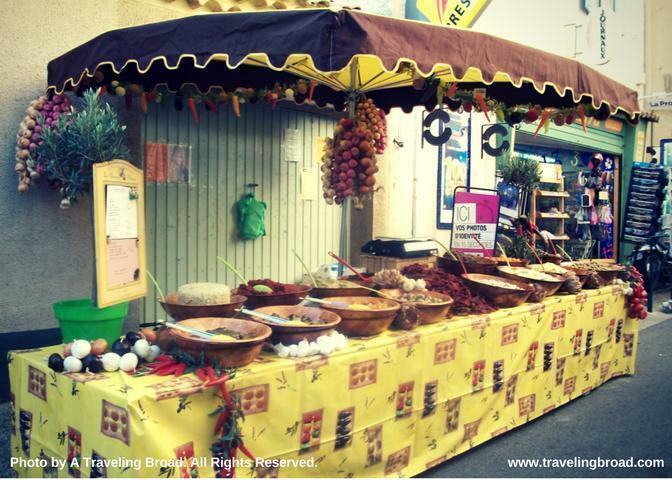 While in Saint-Saturnin-lès-Apt, visitors can enjoy a variety of delicious food. The bakeries offer amazing baguettes, quiche, and my personal favourite – croissants! Don’t want to eat at home? No problem. There are several restaurants to choose from. Locals and visitors alike enjoy “jour du marché” (market day), which takes place in Saint-Sat every Tuesday. Market offerings include fresh local produce (which varies depending on the season); meats; fish; a variety of cheeses including chèvre (goat cheese); saucisson (similar to salami or summer sausage); fresh olives and olive oils; herbs and spices. There are also non-food offerings such as clothes, hats, and housewares. To get to Saint-Saturnin-lès-Apt from the U.S., fly into Charles de Gaulle Airport in Paris, then either take another flight to Marseilles (1 hour) or take the TGV fast train to Avignon (2 hours 40 minute). From the UK or Europe, fly into Marseilles. I visited Cudillero, in the Spanish region of Asturias, in June 2016 as part of a longer trip around the North of Spain. I was completely blown away by it, and I can say, without the shadow of a doubt, it is one of the most charming small towns I have ever visited. The town is incredibly colourful. It is all perched on cliffs and faces a small bay. The views of the harbour and the ocean from the top are simply stunning: I must have stood in the same spot for 30 minutes because I could not get enough of the view. The streets of the upper town are so narrow no cars can drive through, making it a silent place. People here walk everywhere, they all know each other, and they live a seemingly simple, healthy life. It is the kind of place where cats sit lazily outside the doors, taking in the sun because they know they can relax. Sure enough, I would love to go again and spend a bit longer there, to fully enjoy its laid back vibe. Those who know and love Caminha are often torn between sharing their beloved town and keeping it to themselves. I can understand the reluctance. Its very location on the tip of northern Portugal is enviable for several reasons. One being that it has a coastal and a river beach, both backed by a magnificent pine forest. Another is the wonderful view across the River Minho to the hills of neighbouring Galicia in Spain and more gorgeous Minho countryside upstream. 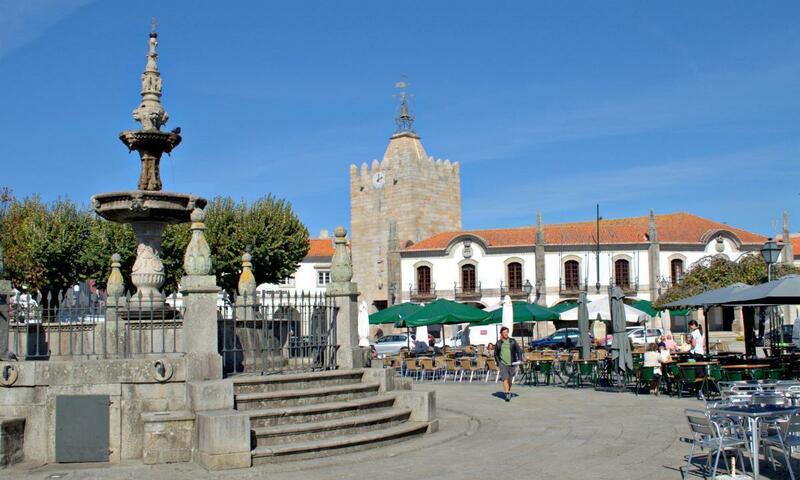 Caminha’s attractive central square is full of outdoor cafés perfect for whiling away an hour or so and watching life go on around you. Evidence of a more turbulent past and the town’s important defensive role in Portugal’s history is still present. There’s an island fortress and traces of the inland one as well as the defensive walls built to fortify the walled medieval citadel in the 17th century. Chiavenna is my favourite small town in the Italian Alps, and it makes a perfect day trip from Milan, my hometown. 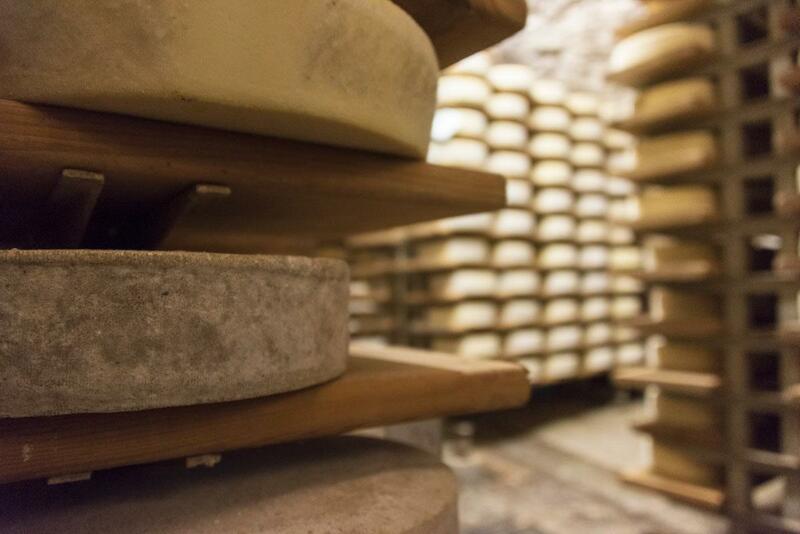 There are many things to do in Chiavenna – but naturally being Italy, the main reason to visit is food. The town is home to crotti, a unique culinary tradition only found in Chiavenna and its valley, and in neighbouring Switzerland. Crotti are caves with an airflow, and they’re used to cure locally-made meats like bresaola (cured beef) and age cheeses. Chiavenna’s restaurant are also (somehow confusingly) named crotti, as most of them are adjacent to these caves and serve delicious dishes made with local products. The ‘Sagra dei Crotti’ is a local festival taking place every year in September – all crotti are opened to the public, and everyone drinks wine and eats cheese in the streets. Definitely worth a visit! Chiavenna is also a wonderful hiking location, both in summer and winter, it has a lovely city centre and it’s close to Palazzo Vertemate Franchi, a stunning Renaissance villa. 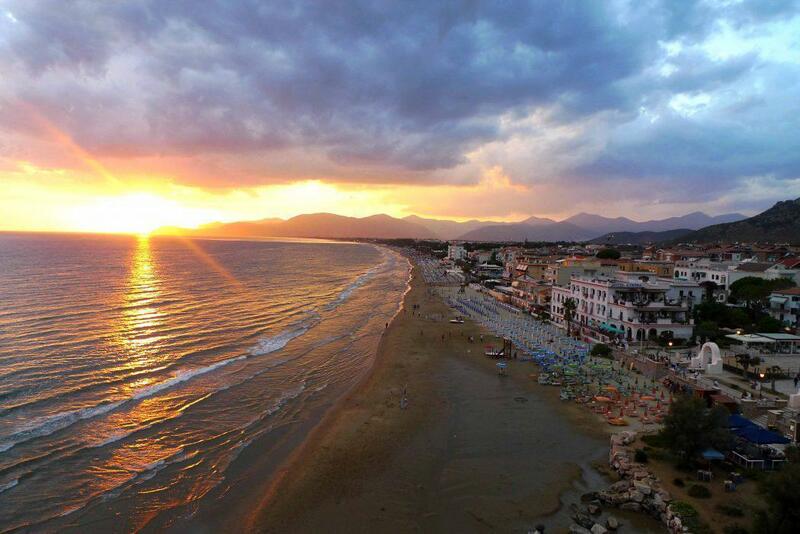 Nestled in between Rome and Naples lies Sperlonga, Italy, a beach town frequented by Italian locals come summer. Surrounded by both the Tyrrhenian Sea and an Old Town complete with white-washed architecture that will make you think you’ve landed in Greece, one of the main reasons you should visit Sperlonga is the town is mainly filled with locals from all over the country – you’ll rarely come across a tourist in this unspoiled haven. Getting there is simplest by car as Sperlonga can be accessed by the popular Autostrada A1 Italian motorway, which passes through Milan, Naples, Florence, and Rome, among other towns. Embodying La Dolce Vita (this coastal town used to be a Cinecittà favourite in the fifties and sixties), it’s not uncommon to start your day basking by the beach, followed by lunch while people watching on a sunny terrace, enjoying an aperitivo in the heart of the Old Town, and ending your evening with dinner under the stars. You’ve probably never heard of Papigo, Greece. Don’t worry. It’s far off the beaten path of Greek tourism. We had never heard of it either. Like many of the best things in life, we stumbled upon it, a stopover in the north-west part of Greece during our Balkan road trip. It’s nowhere near the famous ancient Greek ruins of Athens, nor any Greek island. It’s nearly four hours from Thessaloniki, near the Albanian border, and really only accessible by car. It’s on the way to nowhere, really. After our visit to Papigo, we quickly named it one of the best places we’ve ever been. It’s lovely and unexpected, and it has just the right mix of active outdoor activities, an abundance of delicious food, and the generous Greek hospitality we heard so much about. 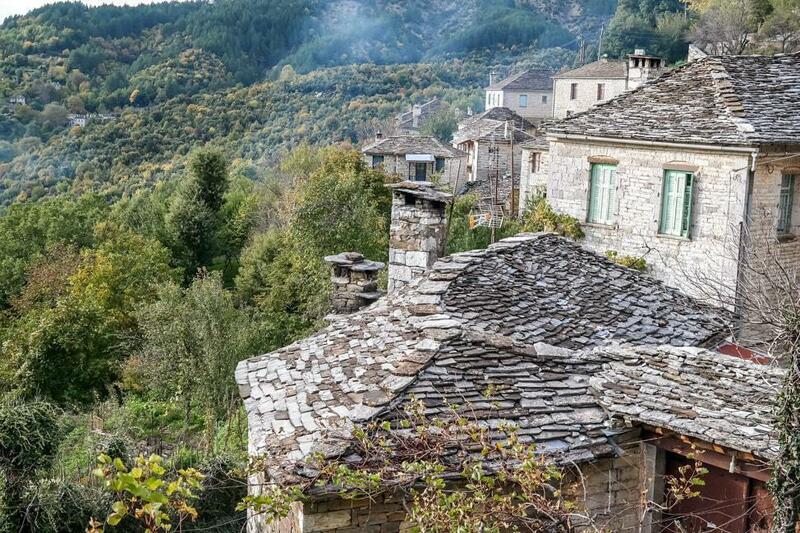 The Vikos–Aoös National Park provides the panoramic views from the hilltop village, with its jagged peaks visible from nearly every window in the town. Please do yourself a favour and add it to that travel bucket list I know you have saved somewhere. You will absolutely not regret it. Nafpaktos is a picturesque coastal town in Western Greece near the town of Patras, where all the ships from Italy arrive. 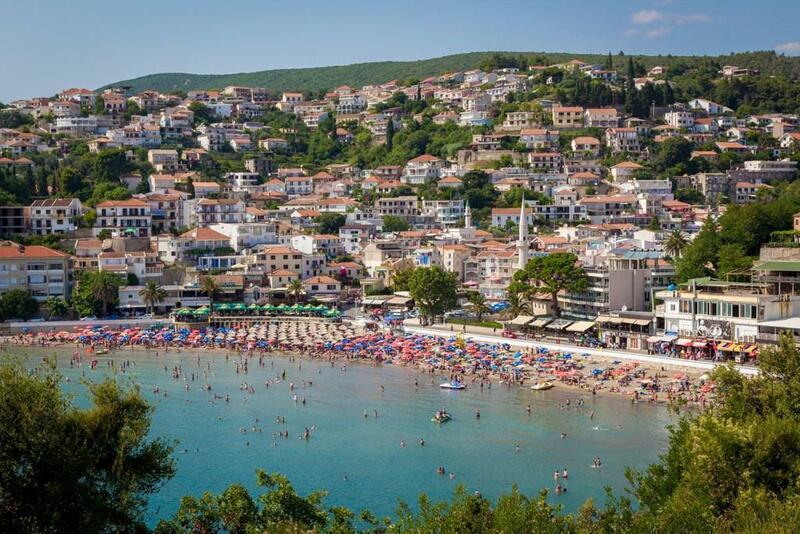 It is also a popular weekend spot for the Greeks because of its proximity to Athens. From Athens you can get to Nafpaktos either by car (it is only 200 km away) or by public bus (ktel). Nafpaktos is famous for the Battle of Lepanto that took place in the area in 1571. Every year at the beginning of October, the locals celebrate the victory of the Battle of Lepanto with a re-enactment. Nafpaktos has a beautiful castle which has the biggest and most well-preserved fortifications in Greece. The view from the top of the castle is stunning, and you can even see the famous Rio – Antirio Bridge. As you go down from the castle, you can pass through the old town with its cobbled narrow streets, traditional houses and museums. One of the highlights of Nafpaktos is its traditional harbour, surrounded by the fortification walls of the castle. It is a great place to eat or have a coffee in one of the numerous restaurants while enjoying the views of the sea. 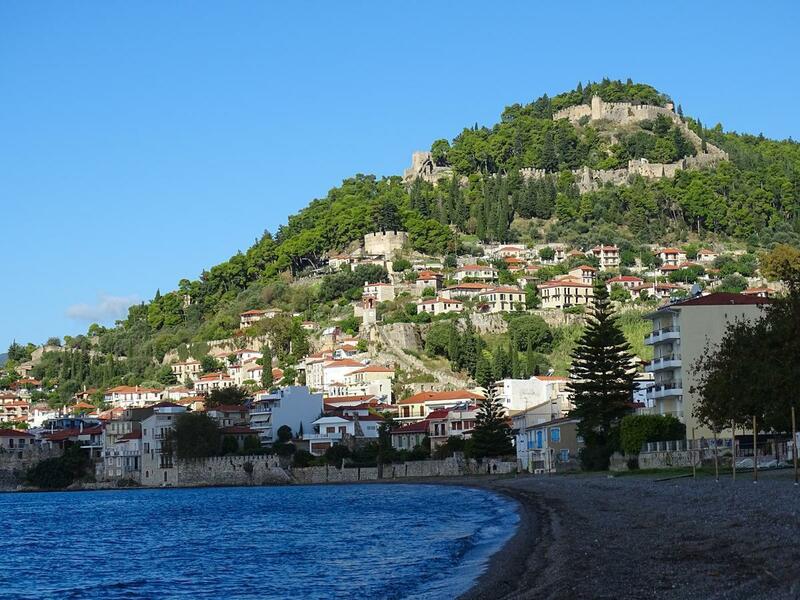 What makes Nafpaktos special is it is an all-year-round destination. 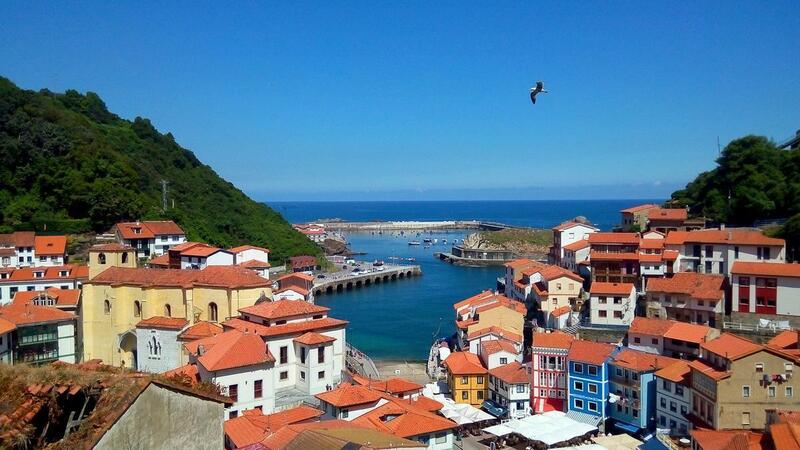 During summer you can spend your day at one of the two beaches inside the town, both nominated with a blue flag. Just 30 minutes away by car, you can visit the beautiful nature of Orini Nafpaktia, a mountainous area with lush forests and small waterfalls, a perfect escape during winter. On the southern coast of diminutive Montenegro, not far from the Albanian border, sits an unassuming little town by the name of Ulcinj (pronounced Oolt-seen). Because Ulcinj is still largely unknown among the international travel community, the peak summer season brings more Montenegrin and Albanian tourists than anything else, lending it a refreshingly authentic atmosphere. The pristine and varied beaches are a major attraction and include rocky beaches, sandy ones, and a few reserved for nudists; but, there is far more to Ulcinj than sunbathing. Visitors can explore the crumbling charms of Stari Grad Ulcinj (the medieval old town) or visit the Ulcinj Salina, a protected area home to more than 200 species of migratory birds. They can enjoy beautiful coastal walking trails or even dance the night away at one of the many beachfront nightclubs. Unlike many Adriatic seaside towns, Ulcinj remains free from towering resorts, which only adds to its undeniable charm. I’d recommend for anyone to give Ulcinj a look for a chance to experience a bit of Europe still unadulterated by Western influence. Ulcinj can be easily reached by local bus from surrounding cities such as Budva or the capital city of Podgorica, or even from the Albanian capital of Tirana. Our favourite small town in the world is Łańcut. It is located in southeastern Poland, close to the border with Ukraine and Slovakia. With less than 20,000 inhabitants, it is a hidden gem of Europe. Why is it worth travelling to Łańcut? Mainly because of the beautiful and colourful castle. It is surrounded by the big park, great to walk in all year round. We especially like to go there in the late spring, to see the blooming flowers. The baroque palace in Łańcut was built in the 17th-century, and it is honestly the most beautiful construction we have ever seen. It’s awesome both from the inside and from the outside. In the summer, the famous music festival takes place in Łańcut. It’s great to listen to the amazing sounds surrounded by the historical interiors of the castle! If you are not a big fan of history and culture, you can always take a 2 hour trip to the Bieszczady Mountains and do some hiking. 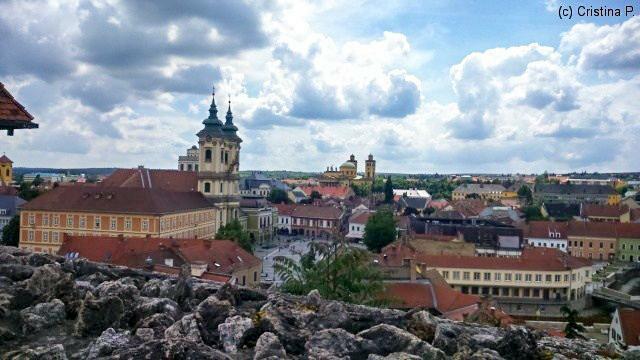 The small town in Northern Hungary, Eger, is famous for three things: it was the last castle to fall to the Turks, it is located in the main wine region of Hungary, and has excellent baths. Being tiny, two days are quite enough to check out Eger’s main sights. 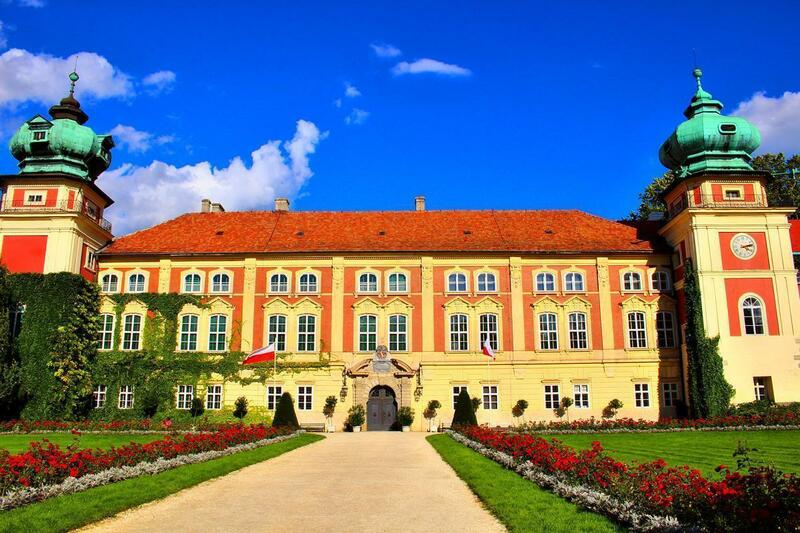 Do start with the huge and amazing Eger Castle. There are eight permanent exhibitions, as well as three private ones. The only downside is the lack of information in English. The permanent exhibits do have some info, but the most interesting one (The Ispotály Cellar, 3D cinema) is only in Hungarian. Still, you can enjoy the castle and spend an afternoon here. If you want to do something amazing, choose the “Town under the Town” tour. The ticket is 1000 ft (USD 3.50) for an adult, and you get to visit the former wine cellars. Again, the tour is only in Hungarian but they hand out leaflets in English, and you can follow the exhibits easily. For those who want to taste the wines, there are endless options to do so within the city or at the Valley of the Beautiful Women. Viljandi is a small charming town in the South of Estonia. Despite this town hosting numerous song festivals attracting thousands of people every year, it is kept out of the popular travel guidebooks. Nevertheless, there is a small tourist office in the town with maps and other helpful information for visitors. 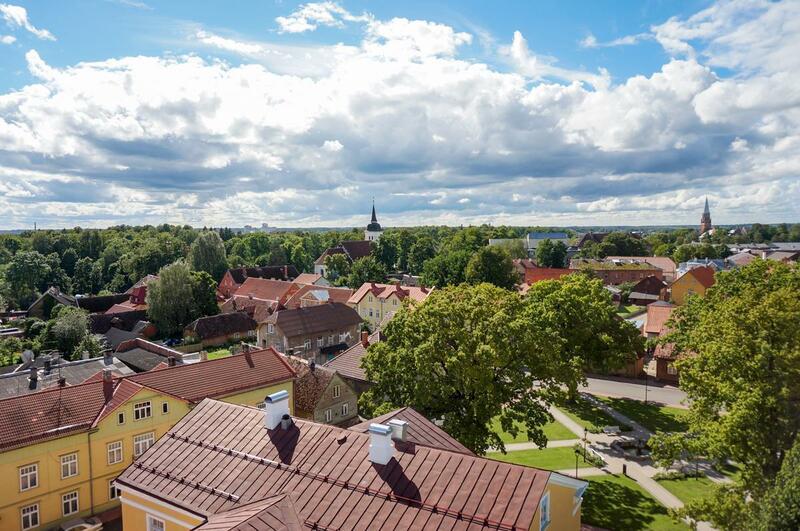 Due to the largest music festival in Estonia being held in Viljandi, this town is sometimes called the Estonian Capital of Folk Music. In addition to its cultural value, Viljandi is a great destination for nature lovers. This town is surrounded by forests and has a big, clean lake, where you can swim in summers or enjoy the scenic views. One of which is the hill with impressive ruins of the medieval castle. I fell in love with this town for its small streets with cute coloured houses, the surrounding greenery and the calm atmosphere it shares. If you plan to visit Estonia, I highly recommend adding Viljandi to your itinerary. How to get there: There are frequent buses departing daily from Tallinn as well as from the other smaller towns. You can check the timings and prices on Tpilet. Why visit Åheim? It’s off-the-beaten-track and is a scenic place hidden in the fjords of Vanylven close to the UNESCO-protected Geiranger fjord and Ålesund City, home to unique Art Nouveau architecture. Åheim offers excellent fishing and natural attractions. Hike the mountain for a fjord view, go fishing and catch your dinner while looking for eagles soaring in the sky. Explore the fjord or just kick back and enjoy a sunset over the furious Stadt Ocean, famous for the harshest weather conditions in Norway as well as some of the best surfing. 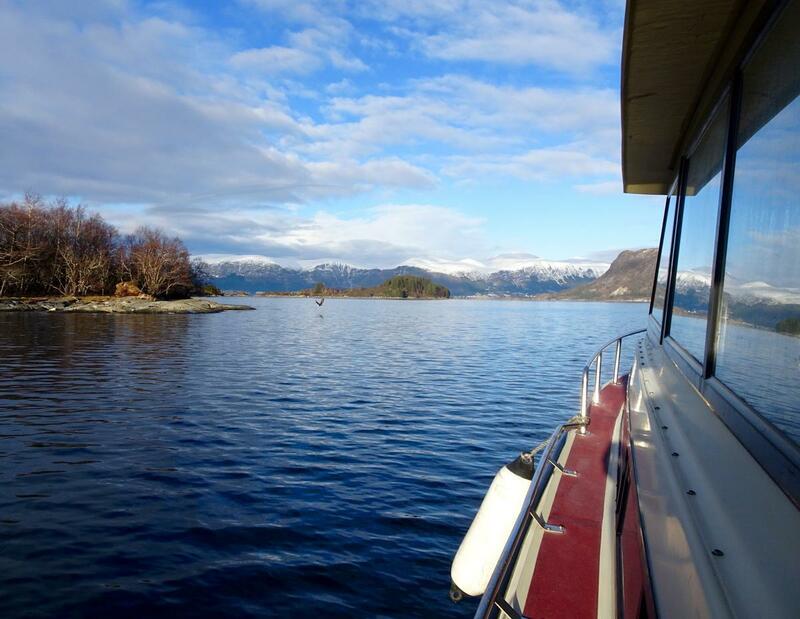 Åheim is tiny but offers great value, a real Norwegian fjord experience, and vast natural wilderness. From Ålesund to Åheim: 2 hours and 30 minutes and two ferries. From Oslo to Åheim: 7 hours by car. From Geiranger Fjord: 3 hours 20 minutes and one ferry. Those who visit Sirince, Turkey likely do so as a good side trip or home base for visiting the more well-known sites of Pamukkale and Ephesus. However, Sirince is a worthy destination all on its own. 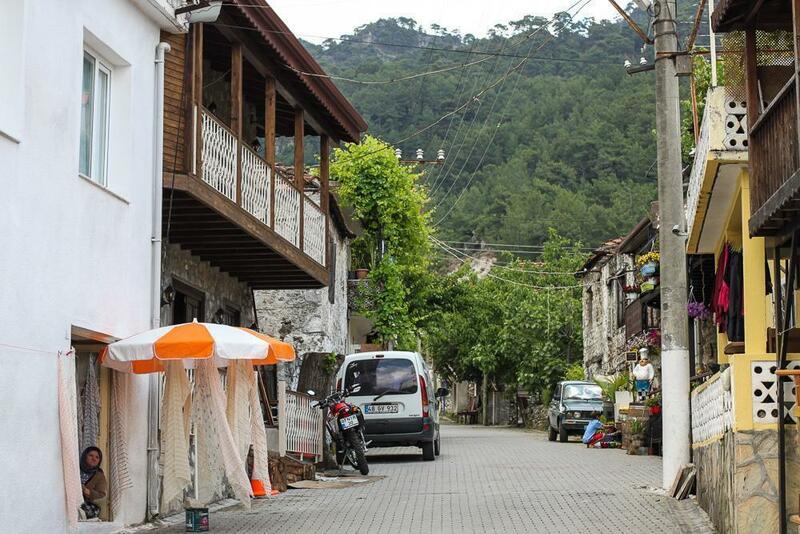 The word “Sirince” means “pretty” and this charming, ancient village is definitely that and more. 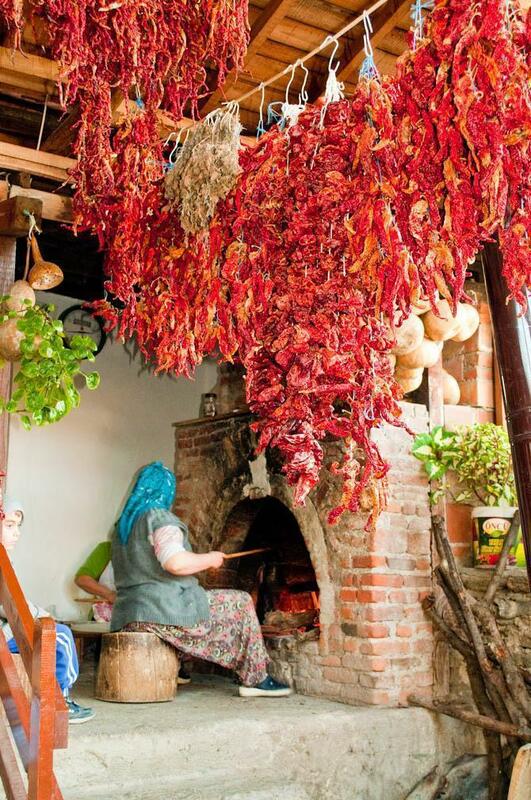 Also called “Turkey’s Tuscany” because of its stunning scenery and production of wine and olive oil, Sirince is a perfect spot just to relax for a couple of days and take it all in over a glass of wine and some delicious mezes. To get to there, you can take a train from the coastal city of Izmir to Selcuk and then hop a minibus or taxi to take you the 8km to Sirince. Yeşil Üzümlü (or Üzümlü as the locals call it) is a small village located about 20km from the Mediterranean Sea and the harbour town of Fethiye. Nestled in the foothills of Taurus Mountains, this traditional Turkish village is a nature lover’s paradise. There are many hiking paths through the wooded hills where you can take in the fragrant pines and stunning viewpoints. You can even hike all the way to ancient ruined city of Cadianda. Üzümlü is probably most known for its annual Mushroom Festival. Held every April, this festival celebrates the Morel Mushroom and draws in people from all over the region. There are plenty of mushrooms to taste. Be sure to wash them down with a glass of wine. After all, Üzümlü means ‘grape’ and the locals produce plenty to go around! Üzümlü is about an hour drive from the Dalaman Airport. You’ll need to either hire a car or book a private transfer to get to and from the airport. One of the most atmospheric World Heritage Sites is the Old Town of Lamu located in the far north-east of Kenya. According to UNESCO, this is the oldest and best-preserved Swahili settlement in East Africa. Take time to wander the narrow, winding streets, lined with townhouses made of stone and sometimes even decorated with shells. Tradition seeps from every wall, alley, and market. 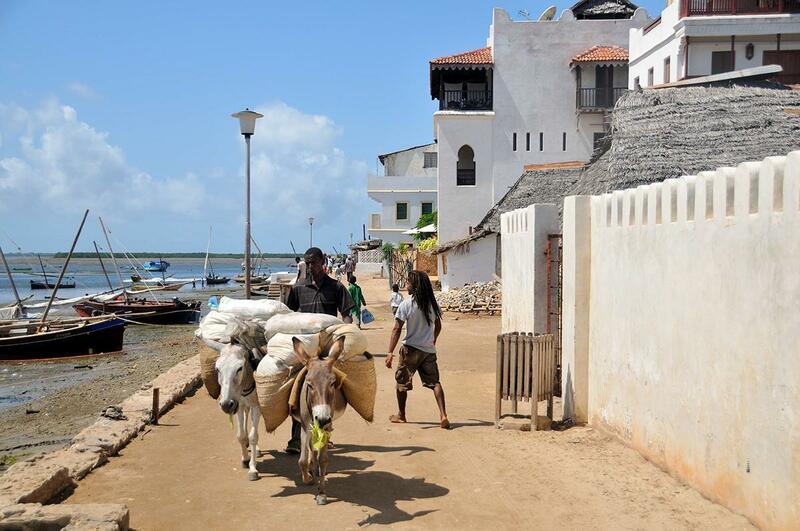 Lamu is an island and is best reached by plane from Nairobi, followed by a short boat ride. Once on the island, all transport is by walking, mules, or boats. There are only two motorised vehicles on the entire island – one for the police and the other an ambulance. Shela Beach is a long walk or a short boat ride from the Old Town of Lamu and is one of the most spectacular white sand beaches you will ever see, and even in peak season, it is largely deserted. There are plenty of aquatic activities on offer such as fishing and snorkelling. Lamu is a highlight of any visit to Kenya. It makes a delightful contrast after a few days of watching the big five during safari game drives in the country’s famous parks and reserves. 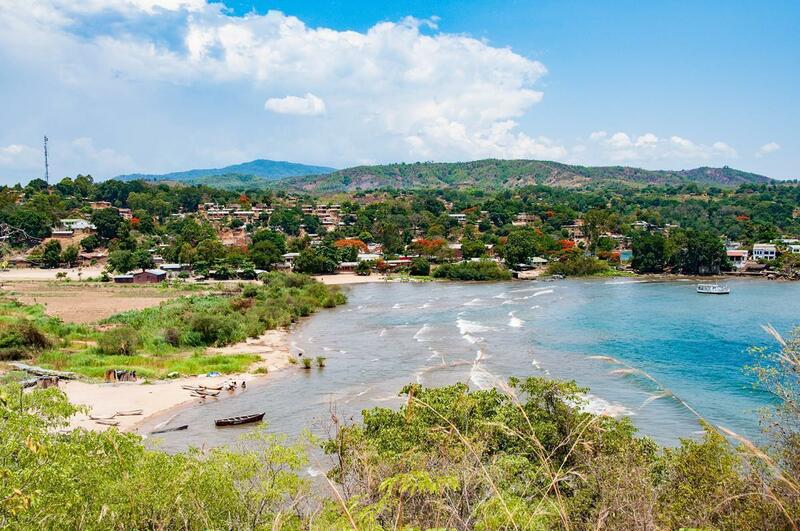 Nkhata Bay is a small fishing village in Malawi, Africa, located on the western shore of Lake Malawi. It’s a popular spot for backpackers, and there are a couple of good budget accommodation options on the lakeshore. Nkhata Bay is a perfect destination for all kinds of water activities like snorkelling, swimming and canoeing. Malawi is also one of the cheapest places in the world to get your Open Water PADI certification. If you want to do something exotic, you can take a boat trip and feed fish eagles. You can easily get there by a shared taxi from Mzuzu, and there’s also a ferry operating on Lake Malawi. Malawi is also called “The Warm Heart of Africa,” and you can truly feel the warmth of the people while travelling there. Malawi is a budget-friendly destination with a lot of things to see and experience, and Nkhata Bay is the best place for exploring this beautiful country. So if you want a unique travel experience, head to Malawi! 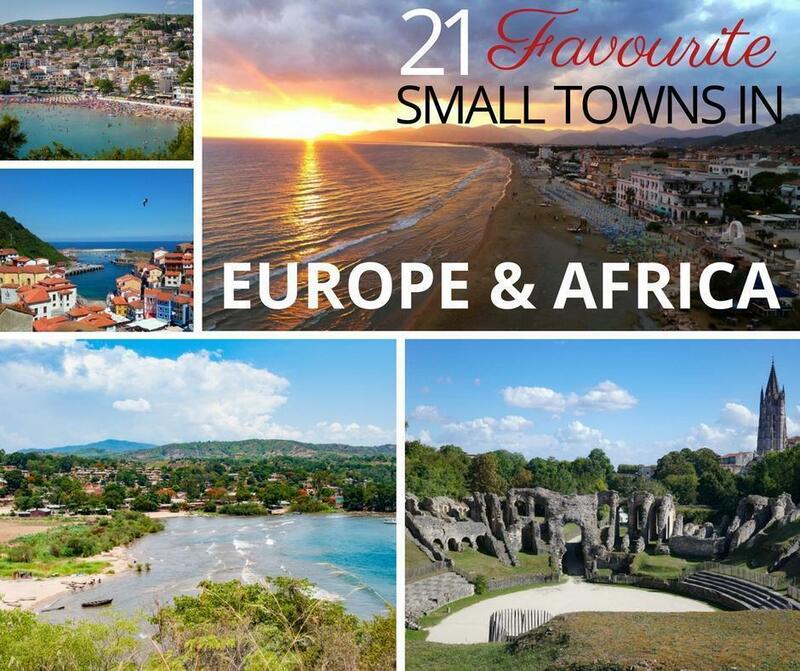 We hope this collection of incredible small towns has inspired you to get off the tourist trail on your next travel adventure and spend some time in a smaller town or village. Stay tuned for our next collection of amazing small towns in Asia and the Pacific.